Balloonatics! is proud to offer Cloudbuster promotional balloons. 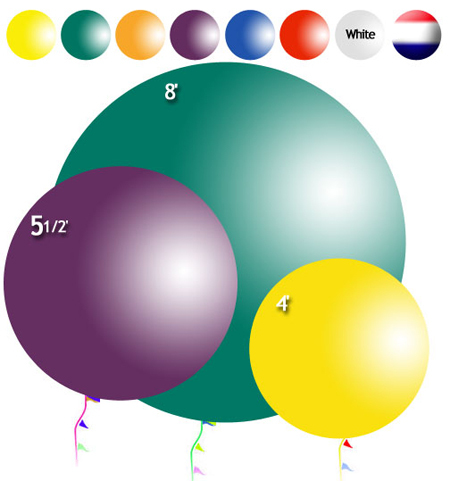 These balloons are constructed of chloroprene, a blend of natural and synthetic latex, designed to give you the longest wear in all outdoor elements and a longer float time when inflated with helium. These balloons are the absolute ultimate in any dynamic, outdoor attention-commanding aerial promotions. They are great for grand openings, open house, car lots, yard sales, location markers, etc. The huge size of the Giant Cloudbuster balloon allows it to be visible from an extremely long distance.